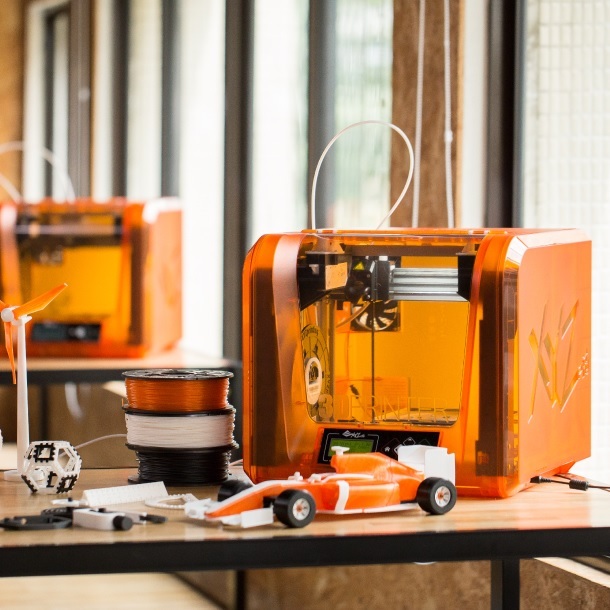 Simple and robust, the da Vinci Junior 1.0A is a desktop 3D printer designed for any space, be it your home, office or school. 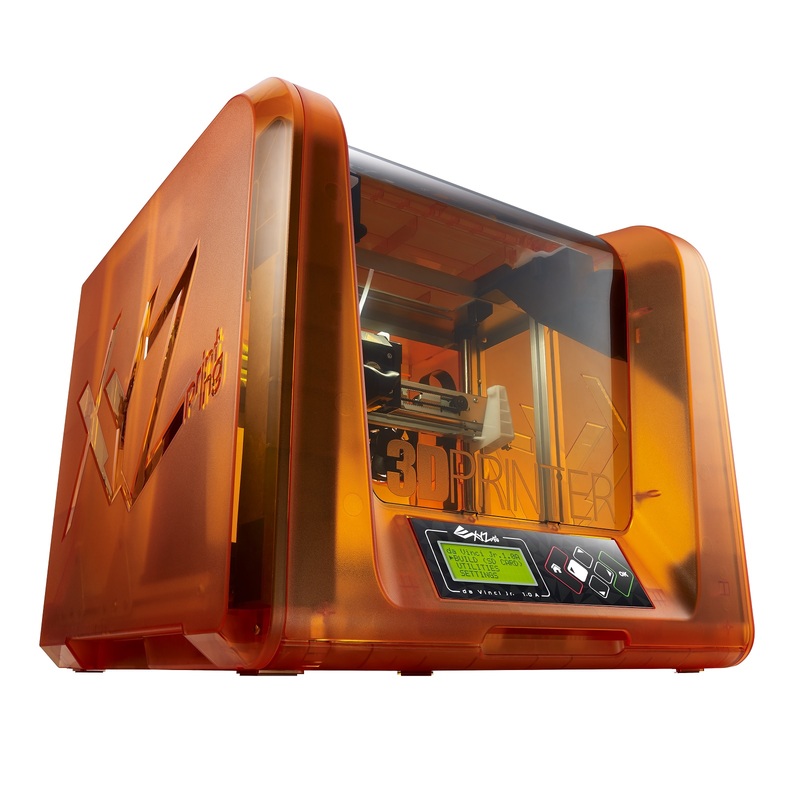 Don’t let its slimmer and lighter look fool you, the da Vinci Jr. 1.0A has a robust build size of 6.9 x 6.9 x 6.9 inches and a resolution of 100 to 400 microns making it perfect for desktop printing. It boasts a fully enclosed print area to protect prying hands from moving parts. 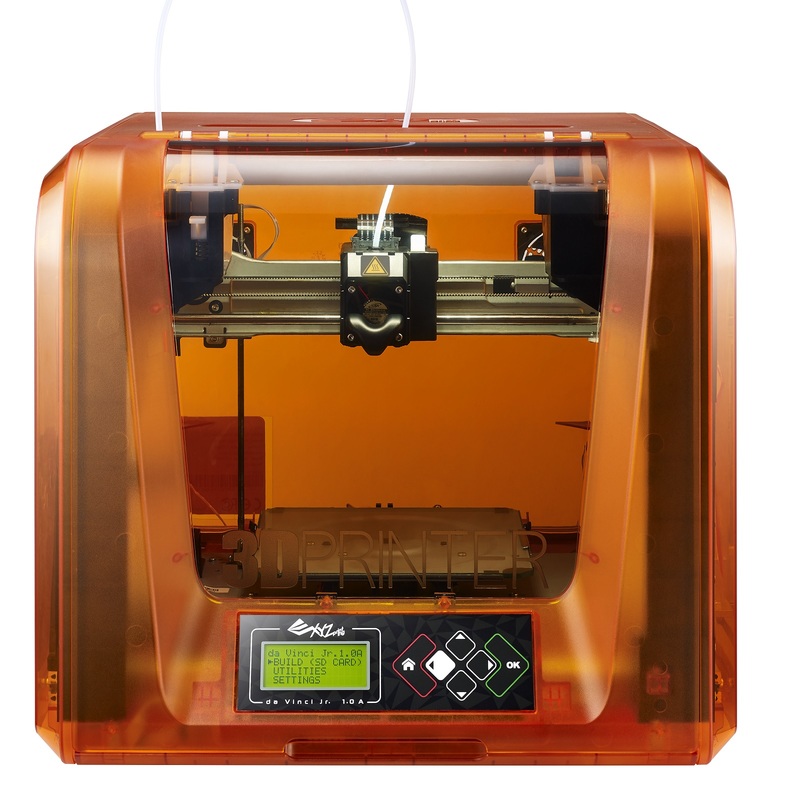 The Junior 1.0A also uses PLA, a bio-compostable filament (3rd part filament is allowed) which extrudes at a lower temperature so the printer only consumes a low 75 watts of power.